Long Live the Pizza Saver! 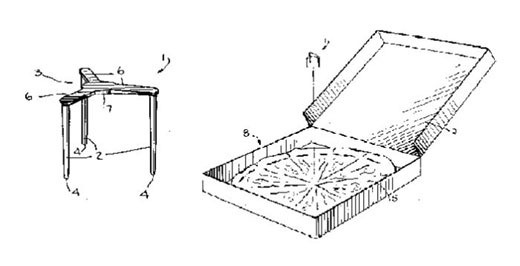 In a world of fast-changing technologies, it's rare to find a product that passes the test of time - but if there's anything that has, it's that little plastic pizza saver. Gizmodo wrote an appreciation on the occasion of the 30th anniversary of the patent, and sure enough, it doesn't seem to have changed a bit since. It's a design that's everything it needs to be and nothing more; efficiency, form, and function in perfect harmony. Not only that, but it benefits from the positive association of being something you see right before you eat pizza. Not a bad gig for a little piece of plastic!